This striking painting of Krishna is the cover painting from the booklet "Krsna--The Reservior of Pleasure." 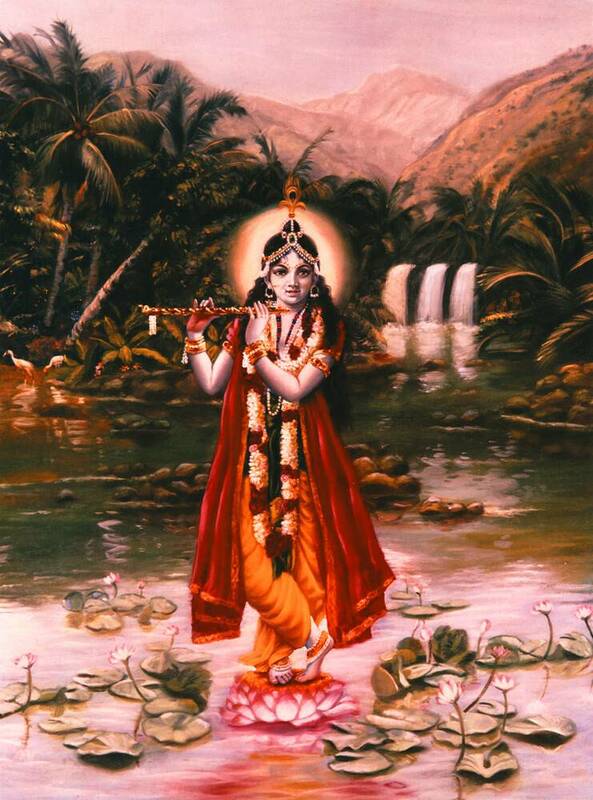 It is a truly distintive painting featuring Krishna standing on a lotus flower in the middle of a river with a waterfall and mountains in the backgrounds. Truly unique.